Almost four decades ago the town of Arua, located in the West Nile region of Uganda, was little more than an outpost. According to the guidebooks, at least. It “has two hotels … there are shops, a bank, golf and tennis and an airstrip.” While it has changed a great deal in the years since, some information sources on the town have not. A Kenyan-published guide to Uganda, whose second edition came out in 2004, uses the same dated description of the town. Surely back then there was much more than the stated “airstrip, police station, hospital, and the White Rhino Hotel”? What of the post office? One would think it would merit a mention – even in passing, the digital revolution notwithstanding. The scant information available on Arua was one of the obstacles I faced in my research on the town. History-wise, there isn’t much that is readily available online, and I could find no books in my area on the town itself. Hopefully, this dearth will not last long. Not with the likes of residents such as Gerard Iga, anyway. He is one of the creators behind Arua Today, a web-based resource that celebrates Arua and all it has to offer. I spoke with him recently regarding his love for the town, and the ways in which he hopes to see it grow. I happen to be a believer in grassroots change; I know that it is possible, through positive and sustained individual effort, to make a difference in Africa. Gerard is one individual (of the many in Arua) who is making a difference, one conscientious step at a time. Our conversation took place over Skype. Given the nature of our internet connection, there were a few stops and starts, but we were able to communicate clearly for the most part. If I had my way, the following would have happened over a cup of tea or coffee in a setting infinitely more picturesque than my living room, but that is an irrelevant digression. Welcome, then, to the inaugural Cit[y]zens of Change. I hope this article leaves you with a desire to experience Arua for yourself. Note to reader: My questions are in bold italics; Gerard’s answers are in regular typeface. Questions and answers have been edited for clarity. So, how would you define yourself in relation to Arua? Hm, that’s a … (laughs). That’s an interesting one. When you say cheerleader, what exactly do you mean? Well, I moved to Arua in 2012 … I came over to work on a project with my cousin; what we call an information website for Arua and the whole of West Nile, which is the region where Arua is. It’s called Arua Today. It was simply to market the region for investment and tourism. So 2012 was the year you decided to make Arua your base of operations – what changes have you witnessed in Arua since the time you arrived? Well, the roads are much better – they’ve really worked on the roads. When I arrived here the town didn’t really have a stable power supply – it’s much better now. And every few weeks or every few months when you visit the suburbs you see new buildings coming up. With regard to the new buildings – do you think it’s positive, planned growth, or do you think it’s a little more haphazard? Like pretty much most Ugandan towns, there is a haphazard element to it; most areas have not been zoned so you’re going to find a residential settlement with probably a discotheque in the same area … so the growth bit is good, but it’s not really properly thought through. Is there any zoning board in place or any town planning entity? Ah, boards exist. But then most times the challenge is [that] what they do remains on paper. So there’ll be like, this area in the part of the town [that] is zoned for one thing, and then someone will show up with a plan that fits the regulations … but the actual building that they put up ends up being totally different from the plan. So the problem is enforcement. In terms of the growth that has happened, what are the proportions? What is the ratio of residential to commercial, for instance? I think most of the growth is taking place in the suburbs – residential. Residences in Arua. Click on image for source. If you could get a chance to spend the day with Arua’s mayor, what questions would you ask him? The first, main thing is the youth. About 70% of Arua’s population is below the age of 30. So the first thing I would bring up is: what is the town’s plan, or what is his plan for the youth? Many are in school, getting out of school – it could go two ways: if they don’t get any gainful employment, they’re going to be a reason for insecurity. If they do, there is an opportunity for growth. So what are the plans to make sure these youths are going to be of use? And then maybe the other is the issue that we are a BORDER TOWN; in many ways the people that live in the neighbouring countries come to Arua for much of what they need, so how is Arua positioning itself to make use of that opportunity? Would you ask him anything related to urban growth, architecture, etc? I really have not seen anything in that direction – we don’t even have a public park. The golf course which used to be 18-hole is now 9-hole because half of it was taken to put up residences … so in many ways I think that aspect is neglected. What DOES exist in terms of what’s available to the public? (Laughs) The amenities that exist definitely are private-owned, like gardens. There’s only one football field which they’re planning to upgrade. And what’s the state of the public accessways? Roads, sidewalks … I would assume that most of the town residents are pedestrians, right? Yes, most of the people here are pedestrians. Would you consider the sidewalks adequate? What percentage of Aruans would you say use bicycles/motorbikes to get around? I’d say … hm, about 70%. Almost everyone uses boda-boda bikes. Fewer people use vehicles. If you had 5 words to describe Arua what would they be? Hm. Arua. PEACEFUL. A very peaceful town. You hardly hear of anything like riots, insecurity, or anything like that. It’s very easygoing. It’s a FRIENDLY town. Pretty much everywhere you find friendly people. It’s BEAUTIFUL. It’s a beautiful place to be. Part of why I find it relaxing is the short walk out of town. It’s like, say a 5-10 minute drive out of the town and you’re already in the village. It’s not concrete everywhere (laughs). There’s a lot of green around so it’s quite relaxing. I think Arua is VIBRANT. Even with the fact that it’s a smaller town, there’s a lot of activity. On any given day there’s so much going on in town and people are busy doing all sorts of stuff. Lastly, I would say it is PROMISING. It shows great promise for growth. What do you think it is about Arua that makes it peaceful and friendly? Because those two qualities are not easy to come by. I don’t know what it is that makes the people of Arua comfortable with diversity, but anyone can come and live here … there are so many people here from different parts of Uganda, East Africa and even the world … and they all somehow live peacefully together – there’s hardly any issue. There are many Congolese living here, there are people from Sudan, there are many people from other parts of Uganda. Somehow, I don’t know, even with the diversity, people get along. And also, people in Arua are very hardworking. People [here] are very busy doing stuff. Ah, so they’re not idle. Yeah (laughs). They’re very very passionate about growth – seeing the town grow. You can tell everyone loves the town. Wow, ok … what would you say are the poverty levels in Arua compared to say, the rest of Uganda? Do you think people are relatively secure in terms of basic needs and do you think that’s part of why there are not that many security issues? It hasn’t always been secure … in some ways, even though the epicenter of the Kony insurgency was in the mid-north, in the Gulu area, somehow it also affected this part of the country. And then there were also other smaller rebel movements in this part of the country. It was not until the early 2000s that things started to stabilize and the town started to grow really quickly. So, somehow this part of the country was a no-go zone in many ways, but later people came back and started to rebuild their lives and their town. What would you say makes Arua tick as a town? Part of it is the fact that it’s full of youth. And they never run out of ideas of things to do … they have so much energy. And then also there’s the leadership – some of our leaders are very inspiring. They want the best for the town. What’s your take on street vendors and whether or not they bring vibrancy to a town? I would love for them to be around, but on the other hand, it would be best to have them in designated areas rather than moving haphazardly all over the place or blocking walkways. Arua has a lot of alleyways. If they were cobbled and made very nice-looking, such places could be set aside for street vendors, where people could pass by on their way from work, pick up a few things, and go home – everything done in an organised way. Hopefully that’s something you can talk to your mayor about. City revenue versus the role of volunteerism – do you think local citizens should be involved in efforts that are self-financed in order to beautify the town? Definitely. I’ve tried some of that myself, although I have not seen any concrete project come to fruition. The government cannot do everything . When a lot more people get on board to do things they get done easier. So when we the citizens of Arua, the people of this town, when we get on board with keeping the town clean, or with the growth of the town, we make the work easier for the authorities. Suppose people got involved every month and we had a cleaning drive? It would make the work easier and then, having been a part of that, people would not go around throwing garbage anymore. So yeah, I think people should get involved. So are you saying garbage is a major issue in Arua? I think it is. They’re actually just finishing work on the new roads, but already people are throwing trash in the trenches. I think people’s mindsets need to be changed. They need to take responsibility and say, this is our public property, let’s take good care of it. What have you personally done to help Arua? The first thing we did was put up our website (Arua Today). Then we also took a look at the district’s website and noticed that it had scant information. So we talked to the district leaders and asked them to redo the site and make it a source of information for the district. So we’re actually working on it right now and it should be up by January. Ok. Is that a pro bono thing or are you guys being paid? With websites you incur some costs, but we did it at a subsidised price as part of our giving back. We were working on getting trash cans for the town – for the central business district – so we had t-shirts made with “I love Arua” as well as the names of different parts of Arua printed on them. [The idea was that] people would buy them and part of the money would go towards buying trash cans that we can put around the town. How far did that go? We got the t-shirts but the sales were not going as fast as we expected. We had a few issues on the supply side – the guys that were working on our t-shirts – so there’s been a glitch there but we’ll definitely get it on board again. The unspoiled, unadulterated parts of Arua – should they remain untouched? And the plan is to clear one of the forest reserves that we have around … so yes it is a positive development, but then at what cost? So we need to ask ourselves, what is the balance? What is going to be done to replace what has been lost? The proposed Nile Eco-City. Click on image for source. Why do you think there’s so little information online about Arua? Do you think that’s a good thing though? What is good is the information that is essential. That’s what we’re looking for. Information that is good for people to access for easier manouevring around the town and stuff … information on getting licenses and things that people cannot easily access. Tell me about the infrastructure of Arua. We’re not very different from Kampala; we still have issues with power cuts. The local power company (we’re not on the national grid) says the power cuts are because they’re still trying to improve their line and install new transformers, so we’ll wait and see when that’s all done if anything improves. As for [our] water supply, the coverage is not yet really … it’s not adequate. There’s a river which runs through one of the suburbs of the town – that’s where the town’s water comes from. Many people get water from boreholes and wells as well. I’m told there’s a World Bank project that has already started to drill for underground water for the town. Where do you see Arua in 10 years? Hm, that’s a tough one (laughs). There is, as I said earlier, so much growth. Last year, Uganda’s 6th public university was opened here. So in ten years we’re expecting it to be so much bigger. [I see] the town’s airfield, which is the second busiest after Entebbe, being upgraded to an airport. They’re working on a new terminal, lengthening the runway … I’m told they’re also working on a railway line to Sudan and Congo. I think Arua will be so much bigger, with so much more trade happening. What’s the meaning behind Arua’s name? And what else can you tell me about the history of the town? Arua was actually a British colonial outpost …as you know in the colonial times, any dissenters to their governance was imprisoned. So there’s a hill right here in Arua town which we call Arua hill: that is the hill where the British prison was. The Lugbara word for prison is “Aru.” So Arua means “in prison.” That is how the town got its name. Any books you can recommend on the town? 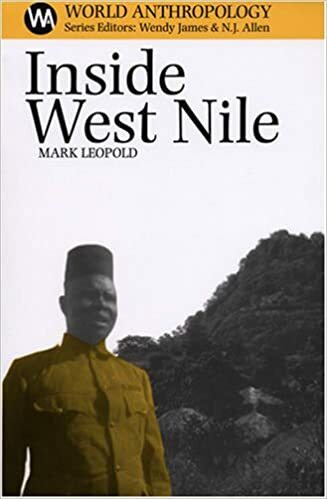 There’s one book that I read recently that is anthropological in nature: “Inside West Nile.” It talks about the history of the region and perceptions about it. Online, right now, there’s the district website which has very little information (laughs) and our website which for the moment is down. But our Facebook page is a very active page; Twitter accounts are very active. There’s always up-to-date information about what’s happening in Arua. “Traveller’s Guide to East Africa” (p 138) published by Thornton Cox in 1980. “Spectrum Guide to Uganda” (p148) published by Camerapix in 2004. Unless otherwise noted, images of Arua were supplied by Gerard Iga. Hoping to travel to Arua in 2016. Well done Gerard for helping put Arua on the map. 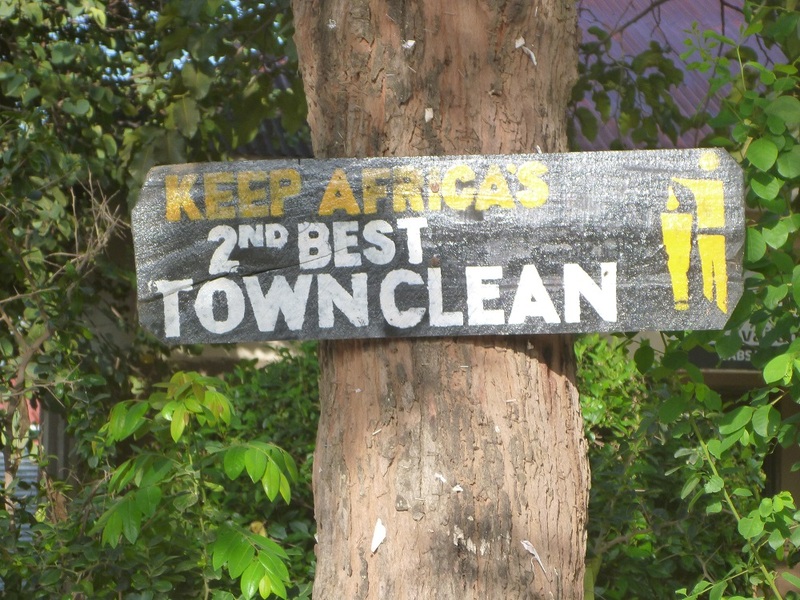 Had no idea how busy the airport is there, nor that the town has been named second cleanest in Africa! Second best town, actually. Not a small feat. Beautiful interview and almost on spot about Arua. Thanks Mr. Iga. Now thats Gerard. Very clear, enthusiastic and full of hope. Indeed a lover of Arua.Way to go Gerard. Nice read. We are proud of you Iga….